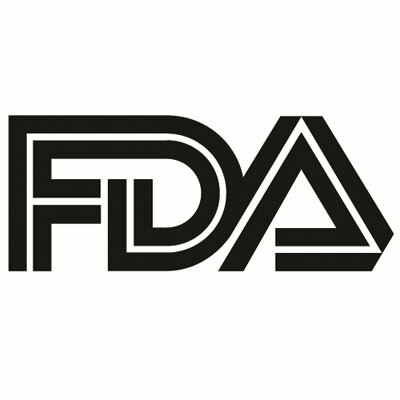 The US Food and Drug Administration (FDA) has approved the first and only complete, darunavir-based single-tablet regimen (STR) for the treatment of HIV. SYMTUZA, from Janssen Pharmaceutical Companies of Johnson & Johnson, has been approved by the FDA based on the data of a pair of 48-week pivotal phase 3 trials which showed the non-inferiority safety and efficacy of the drug versus a controlled regimen. In the AMBER trial, the darunavir STR was assessed in adults with no prior antiretroviral therapy (ART) history. Researchers assessed the drug versus darunavir/cobicistat (D/C) plus emtricitabine/tenofovir disoproxil fumarate (E/TDF) and found it reported similar viral suppression rates, as measured by <50c/mL at 48 weeks (91.4% versus 88.4%). The therapy also reported similar low virologic failure rates, as measured by HIV-1 RNA of at least 50 c/mL at 48 weeks (4.4% versus 3.3%). The STR was well-tolerated, with fewer patients discontinuing treatment due to adverse events (2% versus 4%) compared to control. In the EMERALD trial, the STR was compared to continuing treatment with a boosted protease inhibitor (bPI) plus E/TDF. Researchers found there to be again high virologic suppression rates (94.9% versus 93.7%) and low virologic failure rates (0.8% versus 0.5%) at week 48. No patients discontinued care due to virologic failure, and switching to the STR demonstrated improvements in bone mineral density and in some markers of renal function versus control therapy. Patients also reported a similar safety profile to that of those with no prior ART history. Joseph Eron, MD, professor of medicine and director of the Clinical Core at the University of North Carolina Center for AIDS Research, said clinicians sometimes struggle to grasp the full scope of patient health or their risk of developing resistance when making treatment decisions. “In key phase 3 clinical trials, SYMTUZA successfully treated those who were starting therapy, as well as those who were stably suppressed on antiretroviral therapy—including patients with more complex treatment histories or previous virologic failure— demonstrating its potential as an important new treatment option for a wide variety of patients,” Eron said. SYMTUZA—previously approved by the European Commission and Health Canada for the treatment of HIV-1 in adults and adolescents aged 12 years and older of a certain weight—has been recommended at a dosage of 1 once-daily tablet taken with food. The FDA recommends patients be tested for hepatitis B virus infection and renal function prior to prescribing.